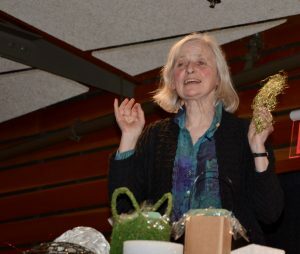 Belgium born Françoise Weeks delighted garden club attendees at the March General Meeting with a close and personal look at her amazing creations. She even gave the attendees a mini-course in creating whimsies head to foot using lots of wire, cardboard, plastic containers, Styrofoam and glue. 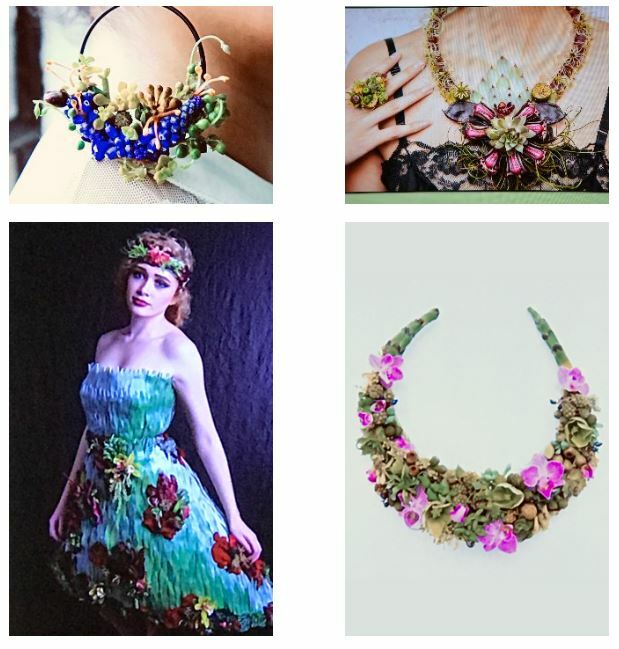 What she didn’t share with the audience is that in her studio she has composed centerpieces for over 500 weddings. Shoes are one of Francoise’s signature designs and although she showed only one or two, many more can be seen online. MEMBERS! Once logged in, be sure to check out the Member Home page to read the latest TROWeL PRINTS stories! Members! You must log in to view the calendar of events and register for meetings and workshops. Please click the button above to access the login and member area! Access the Naples Garden Club Style Guide by clicking on the button below. Thank You 2019 House & Garden Tour Sponsors! Please click here to see the full list and offer your patronage. 2018 House & Garden Tour! You can follow FFGC on Facebook & Twitter, just click on the logos above. Use the Amazon link to shop and benefit NGC at the same time! Once there, simply type in Naples Garden Club and start shopping!